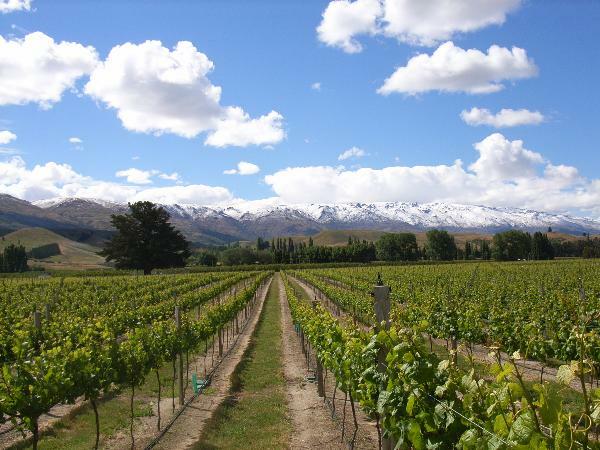 Award winning Wooing Tree is a family owned single vineyard site in the town of Cromwell opposite the Big Fruit Sculpture in Central Otago. Wooing Tree specialises in Pinot Noir, Rosé, Blondie (made from Pinot Noir) and Chardonnay. The Wooing Tree, a local landmark, sits prominently in the middle of the vineyard. The tree has long been a popular place for locals to woo their lovers. The Cellar Door offers a relaxed child friendly environment with sand pit and slide. We are open for wine tasting, sales, lunches, functions and weddings. The Cellar Door offers a relaxed child friendly environment with sand pit and slide. We are open for wine tasting, sales, lunches, functions and weddings. Lunch and platters are available 10am - 5pm 7 days August - April. Wine tasting and sales only May - July.